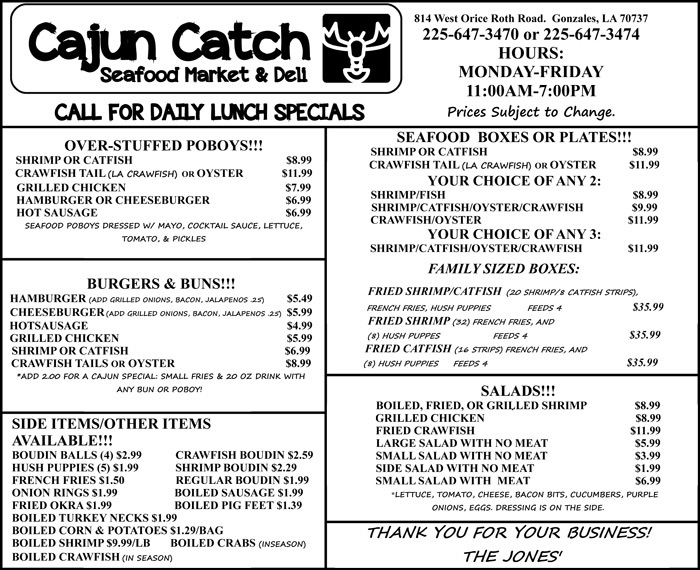 At Cajun Catch Seafood Market & Deli our deli fresh seafood menu has something for all seafood lovers. Check out our menu below or contact us with any questions. We would love to hear from you!